Since 2007, the highly successful banking Trojan called Ursnif has been making waves. Once found in the popular Gozi banking Trojan, Ursnif has been around in one form or another for over ten years. Researchers recently noticed that over time and with the help of hackers, Ursnif has reinvented itself bigger and sneakier than ever before. This latest version focuses on Microsoft Outlook, Internet Explorer, and Mozilla Thunderbird users. It employs new data-stealer functions, pilfering more than just financial data, including email and browser data. Not to be outdone, the latest Ursnif version also steals cryptocurrency from e-wallets. The way Ursnif finds its way into systems is nothing new. Generic phishing emails simply ask recipients to open an attachment, likely a fake invoice asking users to enable macros. Once that’s done, the banking and info-stealing malware goes to work. As popularity is a big part of the new Ursnif, it doesn’t help that source code for the Trojan was posted to GitHub in 2017. That posting allowed cybercriminals the world over to grab the malware for themselves and add their own personal hacking touches. Taking that into account, it’s really no surprise Ursnif resurfaced more cunning than ever. The vexing new persistence of Ursnif is now enabled by using “last minute persistence,” a way of installing the malware in a way that’s very difficult to detect. It writes its own persistence and key files that disappear seconds after a device is turned on–but not before it’s installed. In another way, Ursnif avoids detection by double-checking that it's not being deployed in a hostile environment that could lead to detection. Security experts are seeing malware, such as this as engaging more often in information stealing, but not limiting it to financial information. To prevent Ursnif, and other malware from landing on your devices, keep them updated at all times. When you see that little notification that something needs an update, just do it. Make sure you have anti-malware installed on your devices, even those Apple devices, and that it’s kept updated and does frequent scans. As always, watch out for phishing attempts. Don’t open attachments or click links that are not expected, are from unknown persons, or that you can’t identify as legitimate. There are a lot of benefits to using Google’s Chrome Browser. One of them; it’s generally pretty efficient at getting you where you want to go. However, a new scam has become a thorn in Chrome’s side in that area. It actually spins the browser into a tizzy and uses all of Chrome’s resources, causing the user to have to shut it down completely by forcing it to quit. But it is relentless. Merely shutting down the browser may not fix it, so don’t get caught out by this one. In this version of the tech support scam, users see a popup claiming to be a Windows Internet Security Alert. It looks pretty authentic and even gives an alert code. But if you go to the link listed, it will put Chrome into a never-ending loop, use 100% of the computer’s resources, and keep you from closing the browser without using a forced option, such as quitting via Windows Task Manager. 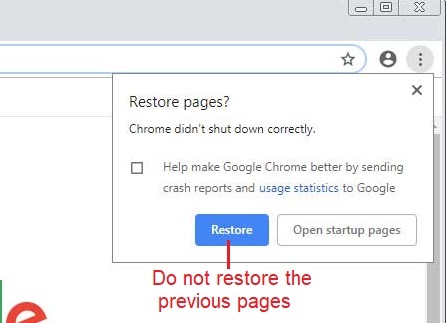 Very important tip follows here: If you do end up in this tech support loop of pain and force the browser to quit, DO NOT restore your browser tabs when it re-opens. Chrome does give you that option and while it’s a very useful feature under most circumstances, this one will just put you right back into that Tilt-O-Whirl. That’s because it also opens up that scammy URL which just send you right back into that never-ending loop. This does not happen in Firefox. It actually exploits a bug in Chrome that was reported and is being worked by Google. A fix should be out soon, if it isn’t already. If you have an indicator to update the browser, just do it. Until then, be very careful about clicking on links in email or even those in popups that appear on your computer or mobile screens. 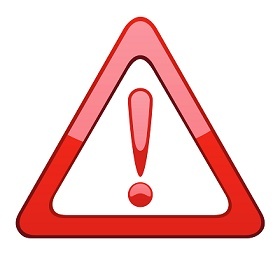 Just because a notification states you might have malware or some other problem, doesn’t mean it’s true. Instead of clicking, close that message out and shut down your computer and completely reboot it. Once it comes back up, do a virus scan using your installed and updated anti-virus software. And just because it’ll save you a lot of time and frustration in case you actually do manage to get some sort of malware on your computer or mobile device, make sure you do regular backups of them. This is pretty quick and simple to do. You can get an external drive to keep the data close to home, or send it to the cloud if you’re comfortable doing that. In any case, having that data backed up will be your savior should you need to restore for any reason. Businesses in the US are slowly realizing the need for employee education to prevent cyberattacks like ransomware and other devastating malware that start with phishing emails. However, for email scammers targeting organizations, the slower the education, the better. Also, employers with a BYOD (Bring Your Own Device) policy are at increased risk of hacking should their employees have poor personal email safety habits. 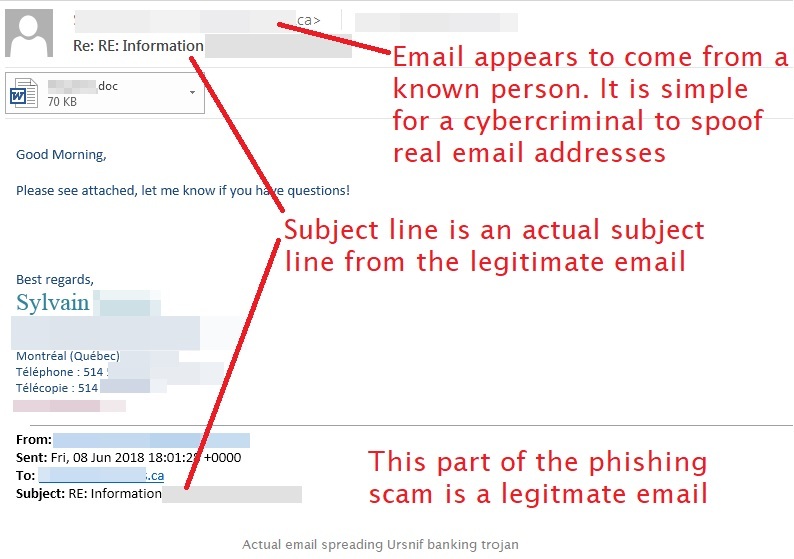 As the financial cost of phishing attacks against businesses of all sizes continues to grow, so does the need for employees to be aware and be on the lookout for email phishing. Recent cost figures vary – from the lowest being $1.6 million, to a projected cost by Juniper Research ringing in at $150 million by the year 2020. No matter how you slice it, the cost of phishing attacks for any size organization is huge, and one from which not all recover. According to Webroot Threat Report, an estimated 1.5 million new phishing sites pop-up each month. That’s bad news for companies and consumers alike, but it shines a spotlight on just how important it is for employees to be ready to spot bogus emails, starting with the subject lines. Just last month, Webroot’s “The 2018 Webroot SMB Pulse Report” finds email phishing the top security threat to SMB’s (Small-to-Medium-Size Business). Of the 500 SMBs surveyed, 24% stated this fact. The same percentage weren’t sure of their number one threat. However, companies that had between 20 and 99 employees thought naiveté held that spot, with only 22% thinking it was phishing. 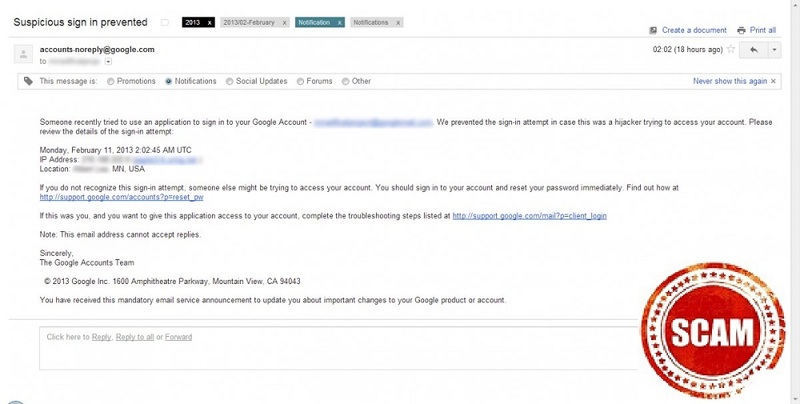 Employee awareness is proving to be key to stopping email phishing attacks. The report finds overall the following email subject lines the top to look for this year, warts and all. This list shows that although hackers may not be the best at constructing subject lines, they do know how to get at the heart of the matter by preying on human emotions. Phishing risks involving a company and its employees, is costly in many ways. One opened bogus email and one click on an attached link can put the future of an entire company at risk. Not only are there financial repercussions involved, but the loss of consumer confidence can prove most costly of all. Ongoing education for employees alerts them to look for suspicious email subject lines and unknown, suspicious, or unexpected senders as the first line of defense. Other awareness training includes checking for bad spelling and grammar and overall, unprofessional appearance. No matter what size company, hackers are only too happy to take advantage of unsuspecting and trusting employees through email phishing. An aware, educated employee may well be one of the most important assets a business can have for their continued success. When it comes to human nature, many believe “people will be people.” That’s all well and good, but when it concerns running a business with smart cybersecurity, human nature is still the biggest problem. For a business of any size to be cyber-resilient, a lot of bases need covering. It takes an ongoing commitment to innovative security technology, but many still overlook their most vulnerable asset – employees. For all the investments in cybersecurity a business makes, just one employee misstep can destroy even the best-laid plans. Security experts have known for many years that staffers present a huge roadblock to cyber-resilience. It’s no secret that 60% of small-to-midsize companies are out of business within six months of a security breach. Disgruntled and ex-employees bent on doing harm is always a security concern. Stealing sensitive data and injecting malware into systems are real concerns for an employer, unaware there may be a staffer bent on revenge. With all thing considered, employees (many using poor cybersecurity practices at home) pose the biggest threat of all. Employee weakness is a multi-layered issue of concern. Companies with a BYOD (Bring Your Own Device) policy are truly playing with fire. They may be saving money by not buying devices, but it opens the door for hackers to inject ransomware and other malware into a data system. Whether it’s a BYOD disaster waiting to happen or simply a staffer reusing passwords on a company device, overlooking the importance of employee cyber education can be fatal for a company. The future success of an organization may very well depend on a cyber-savvy staff. 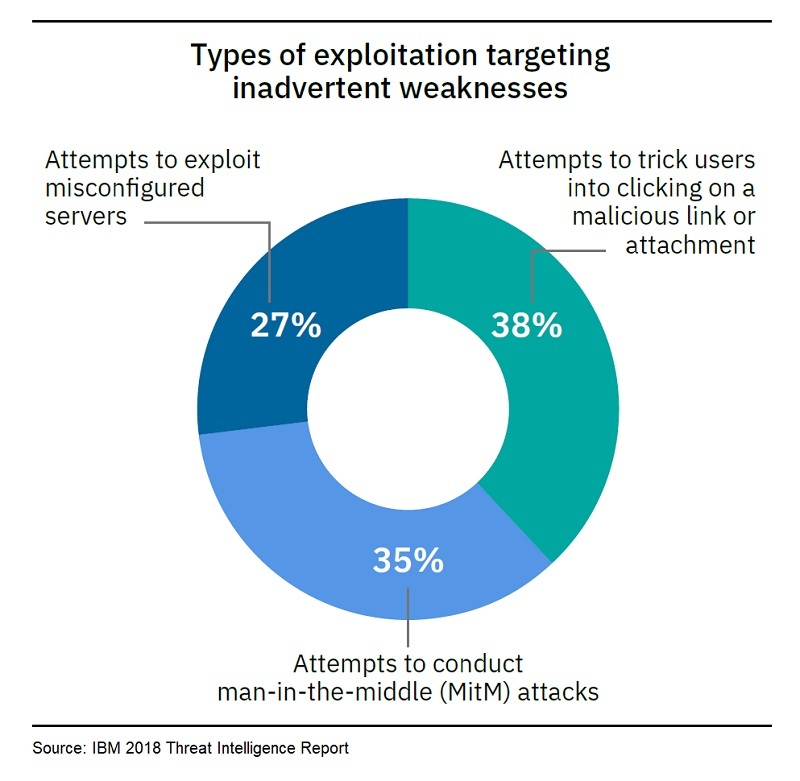 According to the latest IBM X-Force Threat Intelligence Index “Some of the most common scenarios included basic misjudgment. These include employees storing intellectual property on their own insecure personal devices and end systems and employees and insiders falling for phishing emails that resulted in account takeover or access to sensitive data.” It’s estimated that recent ransomware attacks alone cost companies over $8 billion globally. The massive Equifax breach exposing Social Security Numbers, financial account data, and other sensitive information of approximately 145.5 million customers happened by failure to apply a simple security patch. The undisputed culprit? Human error. 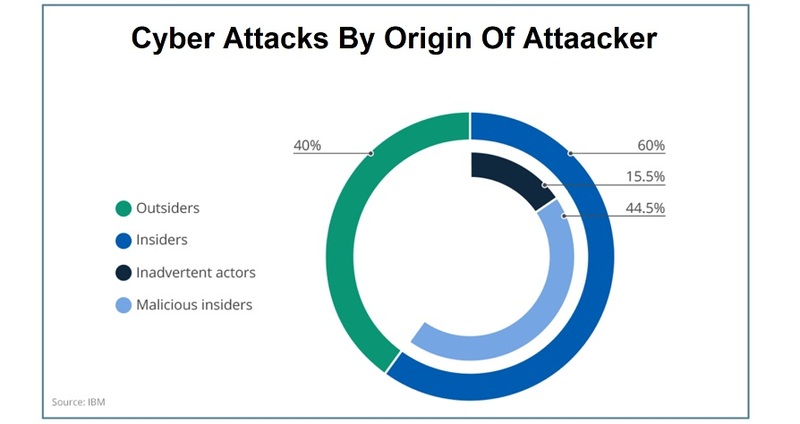 Another report by IBM, Cyber Security Intelligence Index, finds 60% of all cyberattacks reported were caused by insiders – both malicious and unintentional employee error. No matter how it’s divided, employees are the still the biggest cause of cyberattacks in modern cyber history. Continued cyber-vigilance by any organization is necessary to survive malicious attacks and, well, survival in general. The importance of continuing employee education keeping staff up-to-date about the latest hacking trends and how to avoid them can never be overstated. Even cutting-edge security systems can be undermined by an employee clicking on a phishing email or malware-laced attachments. The ideal scenario is a combination of bolstered security systems and cyber-savvy employees. It’s an investment that’s well worth it, especially when a business considers the alternative. 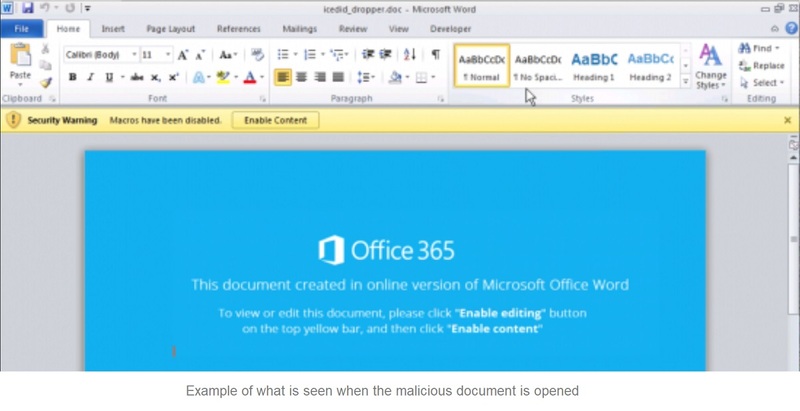 TrickBot banking Trojan has been waging malware attacks since 2016. Today it’s clear there is a stronger and more insidious version of this Trojan that’s focusing its efforts on U.S. financial institutions. Originally, TrickBot was a spam-centered Trojan stealing credit card and other financial data. It’s now morphed into a virus that injects malware into banking systems, locking computers and their functions. Considering the scale of a corporate banking network, hundreds of computers can be locked at the same time, affecting critical system functions. The latest version of TrickBot not only steals login credentials but can also deliver other malicious programs that can lock a home PC or if it gets on a corporate network, lock entire systems. This gives a much bigger financial haul than the measly payment card information of the past. Using extortion tactics like ransomware are lucrative and effective, with hackers knowing ransomware puts victims in a lose-lose situation. If a company doesn’t pay the ransom, their systems are down until restored and hopefully protected from future attacks. Paying-up sends a message that the ransom plan worked, giving cyber thieves no reason to stop further attacks. Experts believe TrickBot is in a constant state of development. For the moment, it appears that the screen locking is not fully functioning. However, the next version will likely be bigger and meaner – so look out. They also believe the Trojan is morphing into a malware-dropper, picking and choosing what to dump onto a system. It's also targeting systems that are not patched with the security updates. TrickBot’s success should also be sending a message to businesses about the importance of cyber security. Having a good cyber defense can be the best offense, and it keeps customers and data systems safe. Paying a ransom or not paying is never an easy choice. If nothing else, it should force a company to find out what allowed the attack to begin with. Taking stock of cyber security basics can help prevent making that difficult decision when your back is against the wall. Keep security patches updated as soon as they’re available, as well as system updates. Consider bolstering security with other software options. Have a solid backup system. 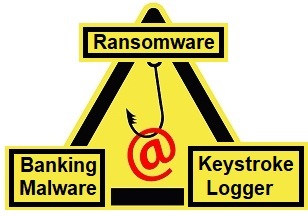 Should ransomware strike, important files can quickly be restored. If security procedures and backups aren’t used, consider ahead of time what your response to a ransomware attack will be. Quick responses can limit the length and extent of damages. Remember, doing things the right way can prevent attacks overall.